Which Winter Tyres Will Skid You Not On Ice And Snow? Wet Winters in Your Area? Trump Them With Top Rain Tyres! 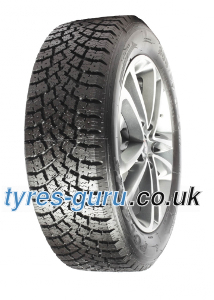 You can find a wide range of such tyres on tyres-guru.co.uk swiftly and with style. Our search tool lets you filter the results of your inquiry to the smallest detail. You can choose to see only tyres with a rating higher than 4/5 stars, you can choose to display run flat tyres only, or reinforced ones, or only tyres with rim protection. Naturally, standard filters, like displaying a specific tyre size and the brand only are there as well. The selection is immense - winter and summer tyres, all season tyres, tyres for different vehicles, accessories, you name it. Fitting winter tyres in the UK has been made easier than ever. We work with over 2000 fitting stations all over the UK, so all you have to do is choose the closest and we'll send the tyres there. If you order two or more tyres, we won't charge the shipping. Winter tyres are made with more grooves and sipes to ensure more contact with the surface. Sipes are those little lines you see on the tread of your tyre. Grooves are spaces between the tread blocks. All of these additional grooves help with dispersing the snow and slush faster. Tread pattern is designed in a way that the treads lead the snow to the side of the tyre so that you don't end up having the snow-filled grooves which would reduce traction. And, again, softer rubber compound helps in the individual movement of those tread blocks resulting in a better dispersion of snow and slush. Don't forget to check your tyres' pressure, though. It has to be perfect if you want to use your winter weather tyres to their full potential. To ensure tyres don't stiffen in freezing or snowy conditions, the contact surface of winter tyres contains more natural rubber and silica, which ensures a greater grip in winter conditions, due to having the treads flexible enough to help in dispersing snow and water. But probably the biggest advantage here is that the stopping distances are greatly reduced. Because of the specific tread pattern described above, winter tyres remove water as efficiently, which is something a driver from Britain should really take into account when buying tyres online. We'd like to recommend a stand-out manufacturer when it comes to fighting rain - Uniroyal "the rain tyre". Check out the reviews and see why is this brand prides itself for being one of the best sellers of tyres in the UK, especially when driving in wet conditions. Driving Abroad for Holidays? Check if Winter Tyres Are Compulsory! Depending on where you go to in Europe, you might find that having winter tyres is a legal requirement in a certain country. In some instances, you'll even be prompted to carry snow chains with you. Make sure to get informed about this before driving anywhere outside of Britain. Countries that have winter tyres required by law are: Germany, Austria, Finland, Sweden, Iceland, Estonia, Latvia, Lithuania, most of Central Europe, and most of the Balkans. In countries like France, Italy, Switzerland, and Poland, winter tyres are not compulsory but are strongly recommended, especially from October to March, as it's six times more likely to have a car accident in that timeframe then for the rest of the year.